Those of you who are familiar with our approach will also be familiar with the term Persuading the Body. This is a description we have used for the last 30 years as a way of describing how we need to relate our minds to our bodies. We cannot enjoy optimal health if either side of this equation is neglected – there must be respect on both sides. Nowhere is this more relevant than when looking at trauma in all of its guises. When we look at trauma, an interesting series of questions emerges. What causes people to continually relive what they most want to forget, and what treatments could help restore them to a life with purpose and joy? Both talking therapies and drug therapies have proven to be unsatisfactory. This is because often in both cases the needs of the body have been overlooked or misunderstood. In his best-selling book, The Body Keeps the Score, Dr Bessel van der Kolk offers a new paradigm for effectively treating traumatic stress. 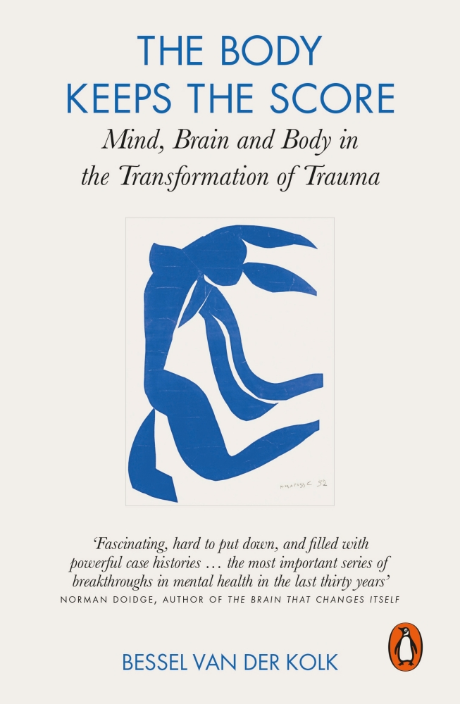 With stories of his own work and those of specialists around the globe, The Body Keeps the Score sheds new light on the routes away from trauma – which lie in the regulation and syncing of body and mind, using disciplines such as: sport, drama, yoga, mindfulness, breath work, meditation and other routes to equilibrium. Dr. Bessel van der Kolk, since the 1970s, has been a clinician, researcher and teacher in the area of post traumatic stress and related phenomena. His work integrates developmental, biological, psychodynamic and the interpersonal aspects of the impact of trauma and its treatment. His book Psychological Trauma was the first integrative text on the subject, painting the far ranging impact of trauma on the entire person and the range of therapeutic issues which need to be addressed for recovery. The Body Keeps the Score takes this enquiry to the next level, inviting the reader to rethink the mind-body relationship. This is a book that has something for everyone interested in the healing process. 15 Minutes of 'Mantra-Mind' meditation. The Blissful Brain by Shanida Nataraja Ph.D. Fear could be your Friend? Are You Anxious Or Are You Angry? The Genie in Your Genes by Dawson Church Ph.D. The Biology of Belief by Bruce Lipton Ph.D.